This morning, at about 10:30 a.m., Route 28 Southbound was shut down due to a car accident. The portion of the highway near MacArthur Blvd to Otis Rotary in Bourne, was closed off. The highway was reopened several hours later. However, another lane remained close for repairs to a pole. 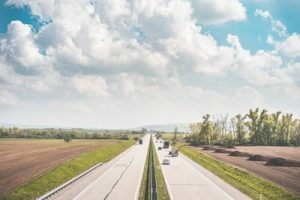 In the past few years, the government has provided the public with new information on traffic accidents and fatalities on the highways of this country. The National Highway Traffic Safety Administration says that in one year, nearly 40,000 died in traffic accidents. That number has increased. The government has requested that the public take this matter seriously and make changes to protect motorists. The number of fatalities in traffic accidents has increased quite a bit in just the past decade or so. The types of deaths that have decreased due to new laws are those from drunk drivers. Upgraded technology in vehicles has also contributed to less product defect car accidents. Everyone on the public roadways needs to learn to share the road safely to mitigate these statistics. Car accidents cause fatalities, but also serious and debilitating injuries. If you have experienced a catastrophic injury due to a car accident, contact the attorneys at the Law Offices of Jeffrey S. Glassman for a consultation anytime of day, by calling (617) 367-2900.